Shark Diver : Shark Diving : Swimming With Sharks: Hammerhead Sharks and Manta Rays in California? 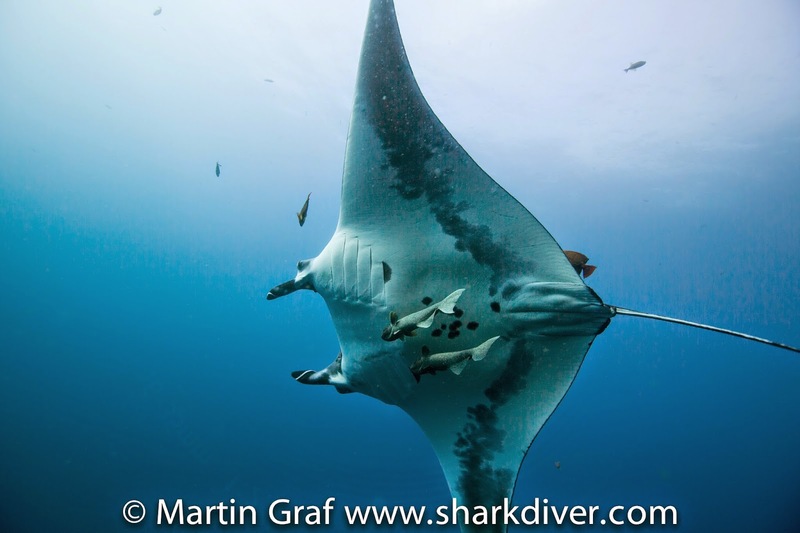 Hammerhead Sharks and Manta Rays in California? A couple of spearfishermen had the opportunity to get into the water with a hammerhead shark off Anacapa Island in Southern California. 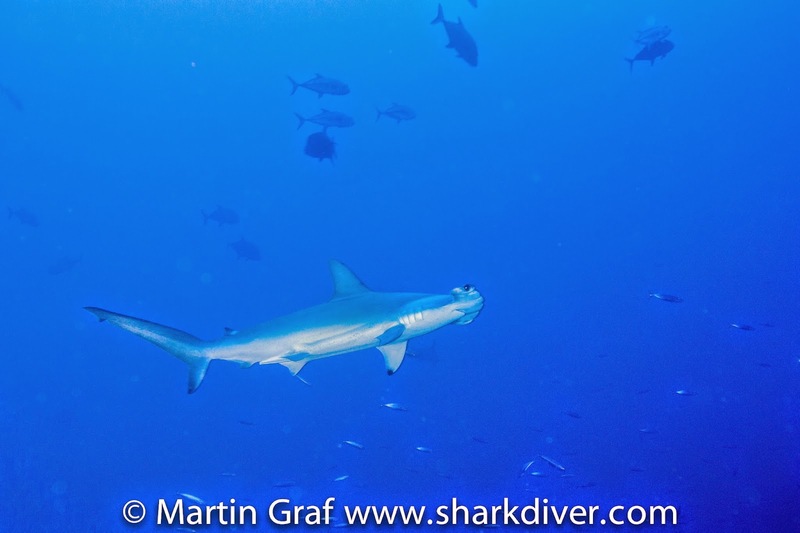 This hammerhead shark showed an interest in the divers, which is somewhat unusual. Maybe it was due to the fact that these guys were spearfishing and had some fish-blood on their wetsuits. Hammerhead sharks are usually very shy and stay away from humans. It is also quite unusual to encounter hammerheads this far north, but with the warm waters we were having all year, we have seen some unusual animals this season. Some divers even say Manta Rays at San Clemente Island this year. It is highly unlikely that a hammerhead would attack a human, specially one so small. I'm sure these guys got the thrill of a lifetime and I'm glad they didn't shoot at the shark and in fact didn't have their guns loaded during this encounter. 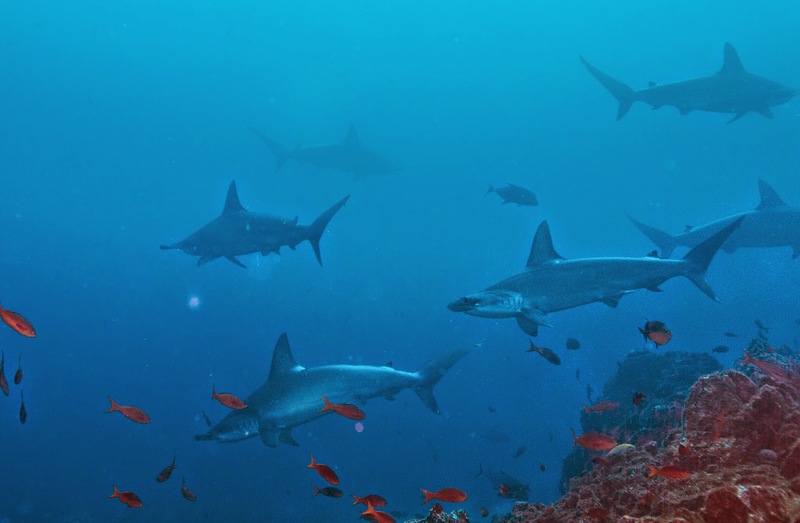 We just came back from diving the Socorros, where we had the fortune to encounter a few schools of hammerheads, while diving at Roca Partida. I'm glad that this video didn't attract sensationalistic headlines, talking about a narrow escape from certain death. Anytime I encounter a shark while diving, I feel incredibly lucky. It never ceases to amaze me, how shy most of the sharks are and how they usually dart away, when they see a diver.